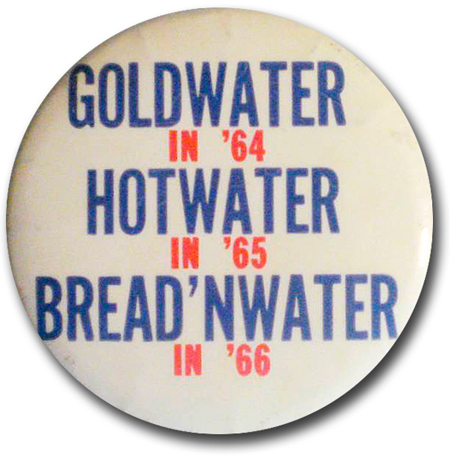 You might have noticed a “Goldwater in ‘68” sign in a window on the Mad Men premier. This may seem trivial, but is part of a more convoluted story. 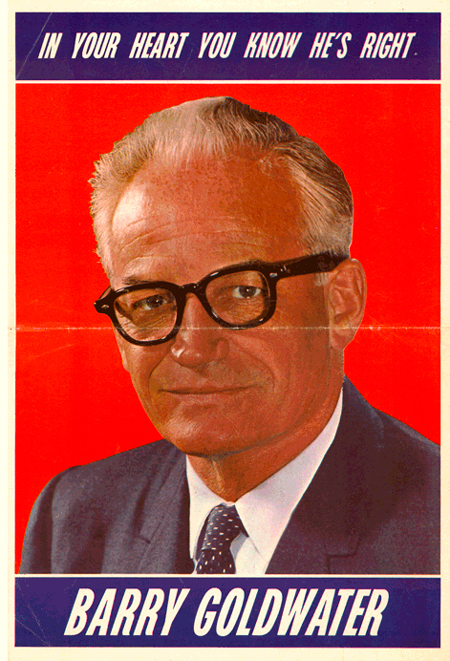 For those youngsters in the room, Barry Goldwater was a conservative Republican Senator from Arizona. He ran for President in 1964 against President Lyndon Johnson. 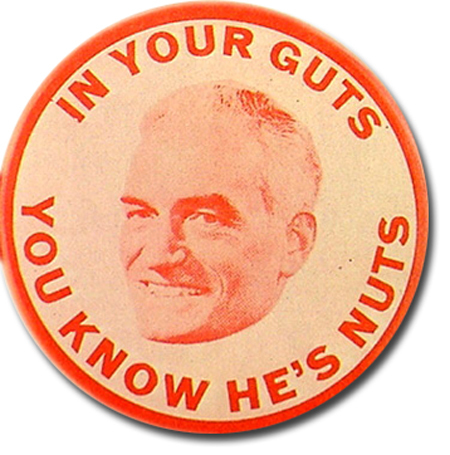 My grandparents, as life-long Republicans, called Goldwater a true conservative for my entire life. They appreciated his stand on conservative issues while rejecting the evangelical right. 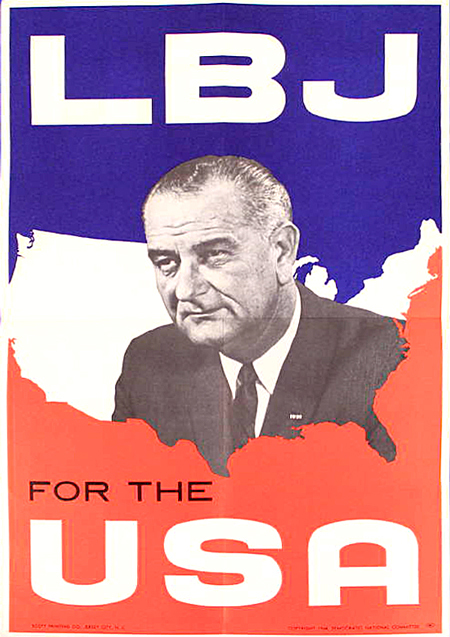 Lyndon Johnson was the Vice President under Kennedy. He became President after Kennedy’s assassination in 1963. Johnson won the presidency in one of the largest landslides in history. Obviously there are multiple points of view on the campaign and results. But many consider the “Daisy” commercial to be one of the most successful campaign ads in history. Tony Schwartz at Doyle Dane Bernbach created this commercial in 1964. 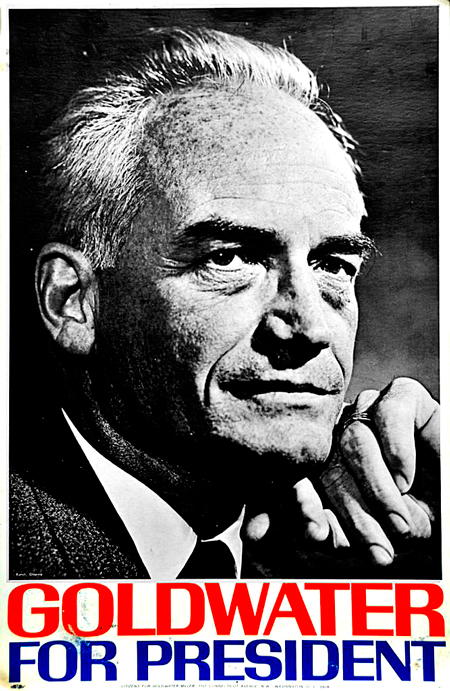 The ad, made for the Johnson campaign, implied that Goldwater would lead the United States into a nuclear war. The ad aired only once and was pulled after it was deemed unfairly inflammatory. Now, back to Mad Men. This gets complicated. The Goldwater in ’66 sign is in the window of the ad agency Young and Rubicam where water balloons are dropped on African-American protesters below. 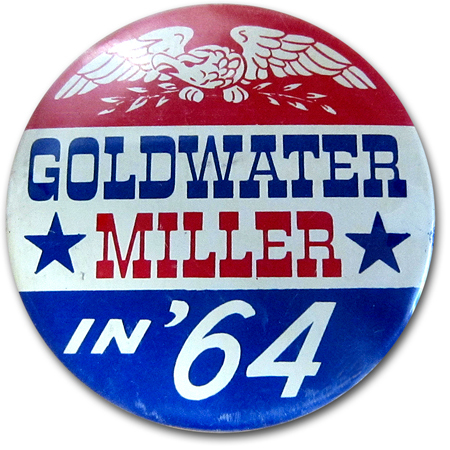 Goldwater opposed the Civil Rights Act of 1964. 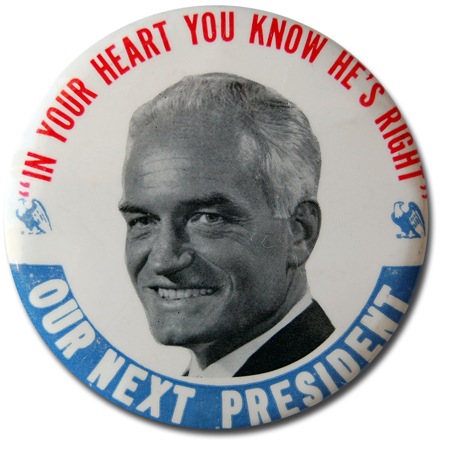 This led to Goldwater winning states in the Deep South, but losing everywhere else. Later in the episode, Henry Francis tells someone on the phone to not appear with Governor George Romney in Michigan. Henry Francis’ character previously used to work for Governor Nelson Rockefeller. Rockefeller also ran for the Republican presidential nomination in 1964 and refused to support Goldwater. This caused uproar at the 1964 Republican convention. And you thought this bog was just about pretty stuff.